Iodine and bandage might not be two tasts that most people enjoy but I do. Sometimes I find them in old French wines - Graves or Margeaux - or in Danish beer from Mikkeller. Finding them in a cocktail made me quite elated. It happened at Salon 39 a gem of a bar just outside the city center of Copenhagen in Frederiksberg. 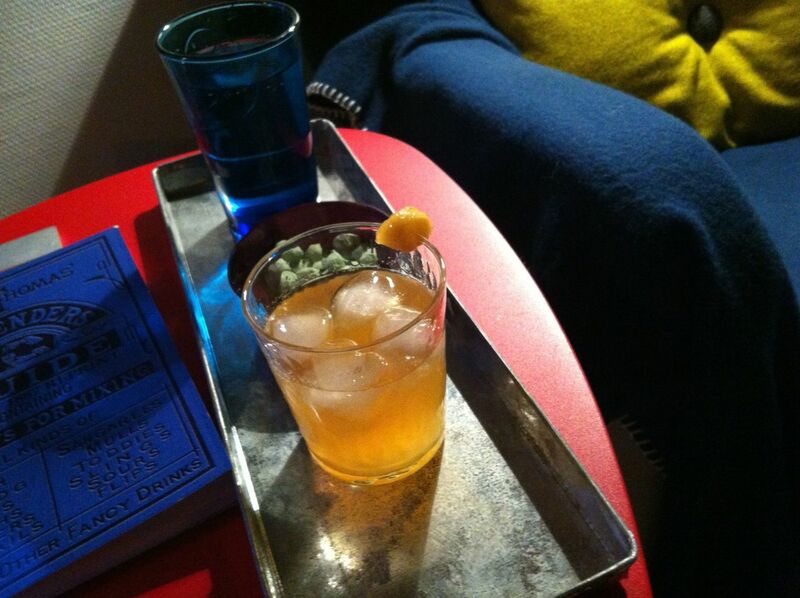 Penicillin was invented by an Australian, Sam Ross, and he single handedly convinced me that whisky based cocktails can be amazing. Start with the ginger-honey syrup: In a small sauce pan mix 1 dl honey and 1 dl water - in Denmark honey from the social project Bybi (City Bees) is an imperative. Add about a pinky fingered sized piece of ginger grated and bring to a boil. Boil for 2 minutes and then let cool - don't strain out the ginger, let it do it's magic. Cool the syrup. Then in a shaker add all ingredients except for single malt over ice and shake. Pour into low ball glass and over the back of a teaspoon add a float of single malt the peatier the better.